The initial coin offering party is over in China. A committee led by the People’s Bank of China, the nation’s central bank, has imposed an immediate ban on new cryptocurrency crowdfunding efforts and warned many ICOs are scams, TechCrunch reported. “The committee also provided a list of 60 major ICO platforms that local financial regulatory bodies will need to thoroughly inspect and report on,” Caixin wrote. It added “at least two major Chinese cryptocurrency exchanges” have recently stopped their ICO operations, while a conference on blockchain technology was also canceled. ICOs are a form of investment funding wherein startups offer new types of cryptocurrency in exchange for cash or preexisting cryptocoins like Bitcoin or Ethereum. They are currently unregulated in most of the world; Investopedia defines them as intended to “bypass the rigorous and regulated capital-raising process required by venture capitalists or banks.” A recent boom in ICOs has seen them surpass early stage venture capital funding in the amount of money raised in the US, CNBC wrote in August, raising worries of a looming bubble as the price of leading cryptocoins like Bitcoin has skyrocketed. Though the US Securities and Exchange Commission has determined ICOs must be held in accordance with federal securities law, warning of “pump and dump” schemes, a total crackdown has yet to occur stateside. China’s crypto market is huge; many tech-savvy residents have bought in as a way to get ahead (and avoid taxes). State agency Xinhua recently estimated the Chinese market had raised “$383 million from 105,000 investors during the first half of the year,” TechCrunch added—surely spooking authorities in a country where economic growth is a priority, but one that is closely overseen by regulators. Earlier this year, Chinese regulators lifted a three-month ban on cryptocoin withdrawals after major exchanges upgraded security, the Wall Street Journal reported. 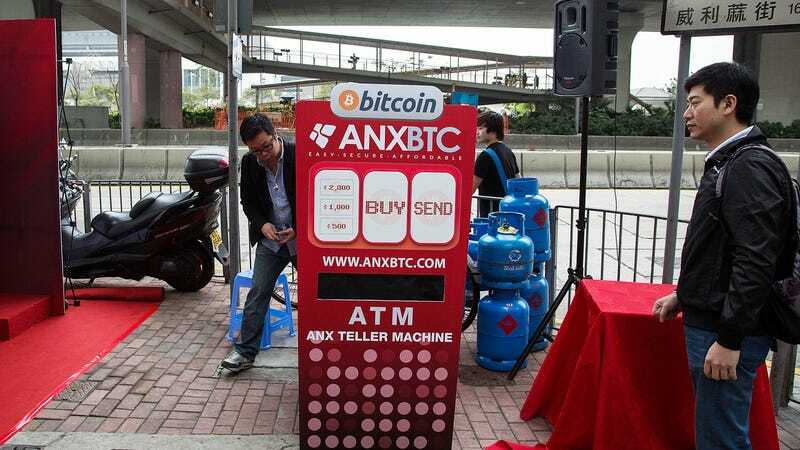 The ban was originally implemented because authorities believed the technology could be used for money laundering or to bet on a collapse of the yuan.